The recent tumble in heavyweight Chinese internet stocks is causing investors to worry about the near term outlook for the so-called FANG stocks. 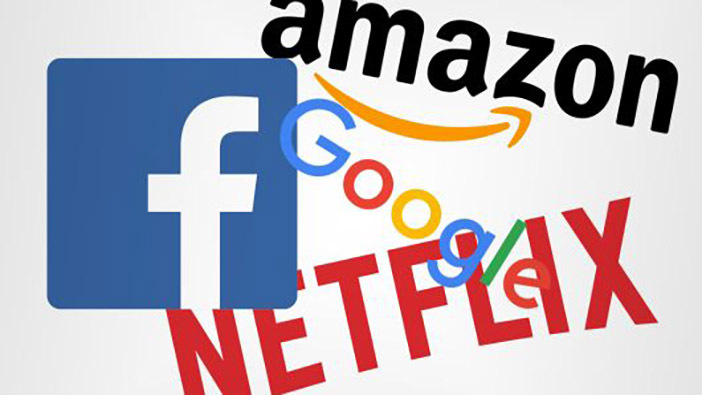 The group, which includes Wall Street’s well-known super stocks, stands for Facebook (FB), Amazon (AMZN), Netflix(NFLX), and Alphabet (GOOGL). These stocks , have led the tech rally in recent years, and despite the possibility of being overvalued, remain the most widely bought and traded. This key group has enjoyed exponential gains ongoing for the past decade. The strong earnings growth coupled with investor confidence has led the S & P technology index to gain 16 percent thus far in 2018, making tech a top sector on Wall Street. China has its own super tech stock, namely Tencent Holdings, the country’s largest social media and online gaming company. On Wednesday, Tencent announced its first decline in profits in the past 13 years. As reported by Vosizneias, the news has investors worrying if the declines will trickle into Wall Street. “Tencent is a good proxy for global growth and risk. Nowadays, with everything being so momentum driven in the market, if one thing goes, everything can go,” said Wedbush Securities senior trader Joel Kulina. In the past few months, China’s most popular stocks, including Alibaba, Baidu and Tencent, have lost hundreds of billions of dollars in market value, as per CNN Money. The Chinese Tech Index is down roughly 12 percent for 2018. Market experts say investors are selling out anxious about elated valuations. Now Tencent’s weakening profits seem to be justifying the slump in prices. “Over time, the breadth of the market tends to narrow, you have smaller leadership groups and once they begin to roll over, which perhaps Tencent is telling us is about to happen, then the broader markets have more of a reason to sell off,” said Peter Cecchini, managing director and chief market strategist at Cantor Fitzgerald in New York. In the States, Netflix and Facebook, have already fallen sharply since their June quarter reports. Netflix is down 22 percent from its high posted in July, and Facebook is down 19 percent since the 25th of July, owing to privacy problems. Amazon and Google’s parent company, Alphabet, continue to outperform, with the former up 60 percent in 2018 for a record high on Tuesday. Alternatively, the fallout of Chinese stocks may not negatively impact our markets substantially, and may stem from the country’s declining outlook for its economy. In particular, the trade war between Beijing and Washington may prove to be too much for China.